cluster of self catering holiday accommodations catering for couples, families and the over 50’s. within reasonable walking distance of the Quintassential. access available with hotspots within the Quintassential for guests staying. 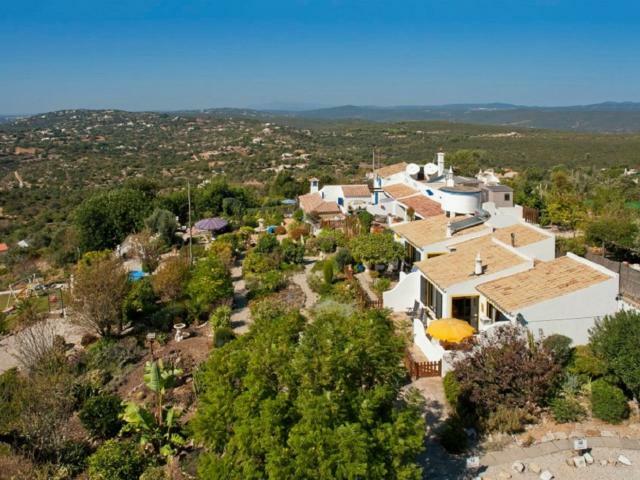 and is an ideal base to explore the Algarve whatever your age group. charge for heating the pool. our aim is make everyone’s holiday an enjoyable memorable experience, not stressful. accommodation will be a welcome hamper, compliments of the house for guest staying a week or more. For guest staying less than a week, this can be arranged for an additional charge of £20.00 GBP. can be hired from us, and in all the accommodations there is a hairdryer, iron and ironing board. Sat Nav hire and a laundry service. Further information is available on our website. holiday weeks. Your guide will pick you up at the Quintassential and take you on a discovery trail. weeks. For further information regarding any of the above mentioned activities please ask. accommodation. This is a great way to relax and unwind at the end of the day. are ready, so relax, take your time and enjoy your breakfast. nature, play with Alfie, Max and Bentley the mini Labrador puppy and Pinky our not so miniature pig. dolphin watching, a truly superb day out. have fencing around their terraces for the added security. and a 14ft trampoline with a safety enclosure. terrace and we have endless buckets and spades to take to the beach. child minding service for guests with small children staying at The Quintassential accommodations. or maybe you just want a few hours by the pool without the kids. At home you no doubt have a family member or friend that you call to enable you to have a night out. and experienced lady for babysitting/child minding services for your children whilst holiday here. environments, worked in a primary school environment, but most importantly, is a mother herself. the babysitting/child minding in cash (Euros). of having a little you time. on arrival in cash (Euros). Further information regarding this service can be found on our website. too happy to provide you with further information. Cycle hire can also be arranged during your stay. Bar-B-Q. The Carob Cottage terrace also has a large awning for additional shade. this accommodation is not suitable for anyone with walking difficulties. total, DVD (small selection of DVD’s available) and a radio/CD player (guests to bring own CD’s). area that keeps the cottage very cosy. Prices for a 7 night stay start from £325.00 GBP per week to £525.00 GBP. Prices for a 7 night stay start from £435.00 GBP per week to £995.00 GBP. Prices from 1st November until 31st March include heating in the Casa do Forno & Orange Cottage. Pool heating is included during April & October. guests staying longer than 7 nights.